Plus, plenty of new gameplay footage. Square Enix announced the latest Japanese voice actors, additional new features, and “Voice Drama” downloadable content for Dragon Quest XI S: Echoes of an Elusive Age Definitive Edition, as well as debuted new gameplay footage, during the latest “Dragon Quest XI S Channel” broadcast today. 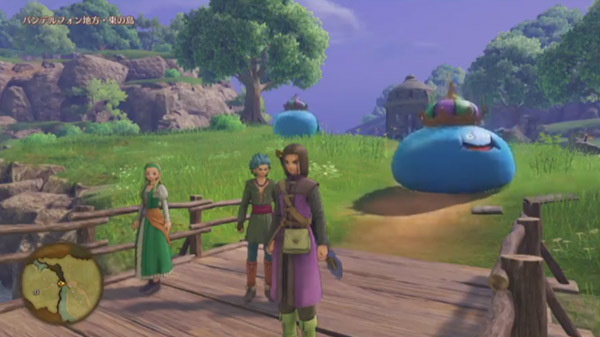 Dragon Quest XI S: Echoes of an Elusive Age Definitive Edition is due out for Switch worldwide this fall. Dragon Quest XI: Echoes of an Elusive Age is available now for PlayStation 4 and PC worldwide, and 3DS in Japan. Thanks, Ryokutya2089 and Games Talk (2).